Established in 1994, Jaafar Studio is a small Cotswold workshop specialising in producing highly individual hand made wall tiles based on an Ancient Persian glaze system. We have carefully researched and developed this Persian glaze to produce our uniquely vibrant and glossy colours, which are rarely seen in today’s market place. To our knowledge , we are the only ceramic tile artists in the UK to use this very specialized glaze. We are passionate about producing innovative designs and pride ourselves in creating highly individual and original tiles with real personality. Ceramic tiles from Jaafar Designs are a stunning decorative element & a true design statement that will set your home apart. And as fashion changes and our designs advance, we constantly test and perfect new colours adding to our unique colour palette. Jaafar Designs have won the tile industry’s top award for ‘British Wall Tile of the Year’ for Innovative Design. Over 120 hours of passion, care and attention go into each tile. Noreen is a Malaysian-born ceramic artist, trained in Design Ceramics at Falmouth School of Art and Design. “Whilst training at the Falmouth School of art and Design my main love was for colour and clay. I specialised in 2D design and started to develop a unique Persian glaze system. My work continues, as does my fascination with colour enabling me to create stunning, hand-made tiles. The creatures, colours and patterns from the coral reefs of my childhood in Malaysia still continue to inspire my work today . Our new Treehouse & tile studio has created a new , rich source of inspiration for me , it is a delight to watch & be part of the lives of the birds & insects that surround us. This has inspired me to create a new range of hand-painted tiles featuring our much loved native wildlife ... hope you like these new tiles ! We love to work to commission for bespoke tile murals for bathrooms and kitchens and have produced unique wall tiles for celebrities and royalty, as well as being involved in large public-art pieces. Please visit our Bespoke Tiles page for more info or ring us for a chat ! 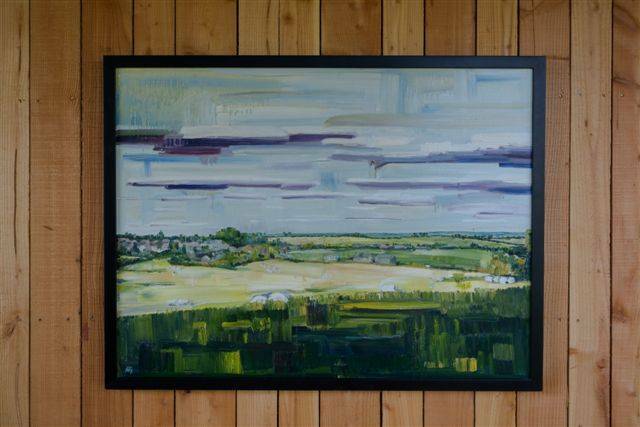 Jon has also been greatly inspired by our new Treehouse home & is thrilled to have been commissioned to paint some wonderful landscape paintings of the stunning Cotswold countryside around us . Please visit our Dursley Treehouse website for more info on his paintings . 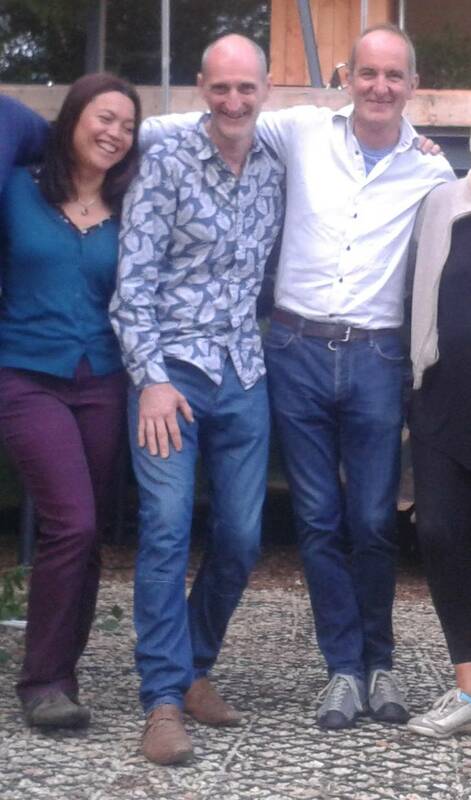 Having a laugh with Kevin McCloud on our last day of filming for Grand Designs . Join us on Facebook & see all our latest news & behind the scenes secrets !